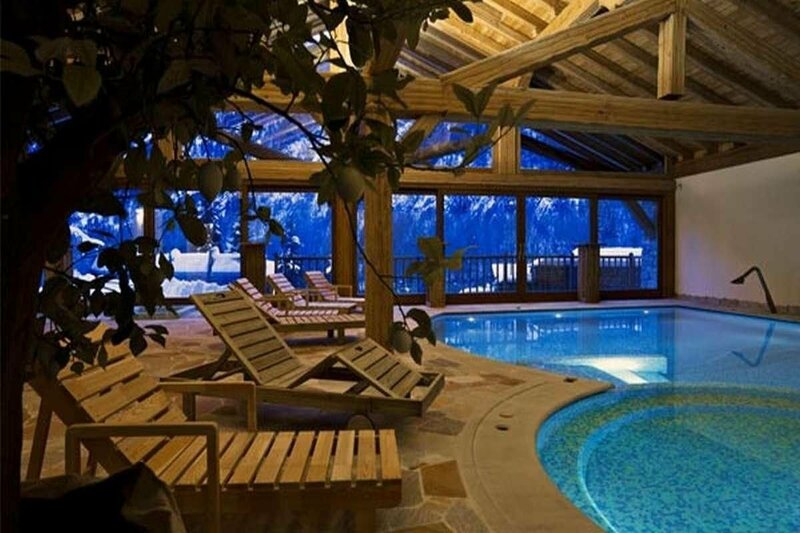 Courmayeur luxury chalet for rent in brand new ski resort, in the splendid setting of Courmayeur Mont Blanc, with SPA & Wellness and Luxury 4 stars services. 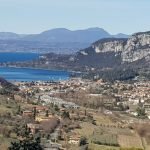 The luxury chalet for rent comprises: 3 Grand Chalets, 3 De Lux Chalets, 4 Petit Chalet, 2 Foyer, a Prestige room and 2 Petit Garni. 215 sqm on 3 floors. 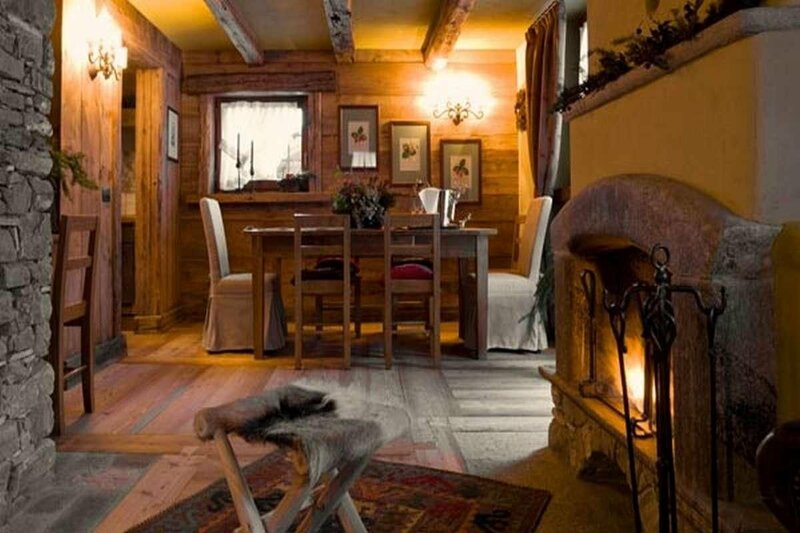 Courmayeur luxury chalet – Grand Chalet #1 has a traditional living room with fireplace, kitchen, 4 bedrooms, 4 bathrooms with shower and / or bath, a room with a balcony. 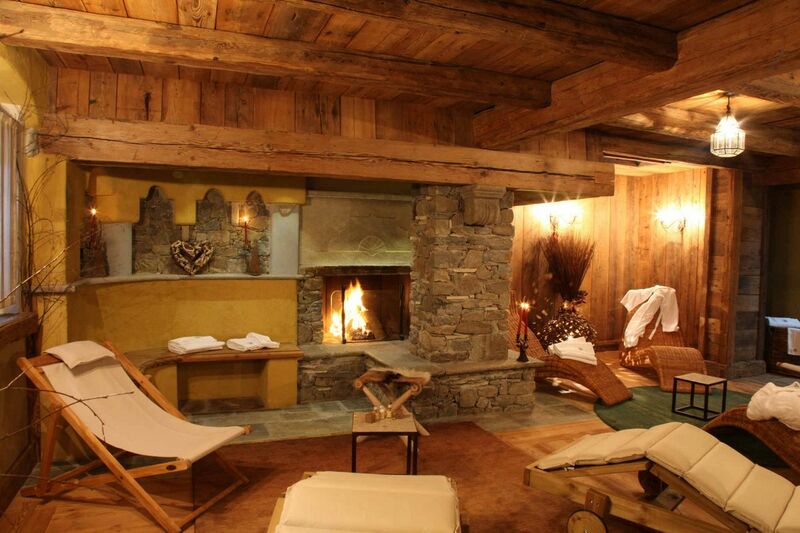 In the basement of the Courmayeur luxury chalet for rent there is a sauna and relaxation area with fireplace. 250 sqm on 3 floors. 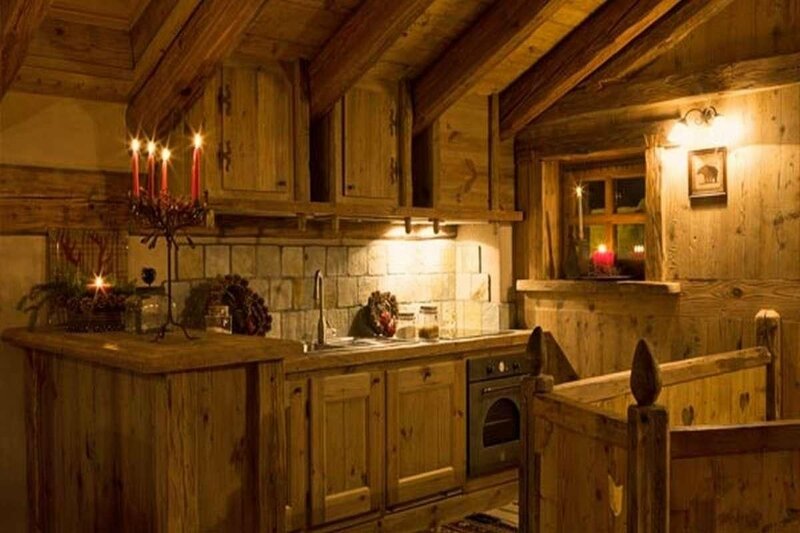 Courmayeur luxury chalet – Grand Chalet #2 has a typical living / dining room with fireplace is a large table for 10 people, a well equipped kitchen, private winery cellar, 2 double bedrooms each with en-suite shower room and dressing. 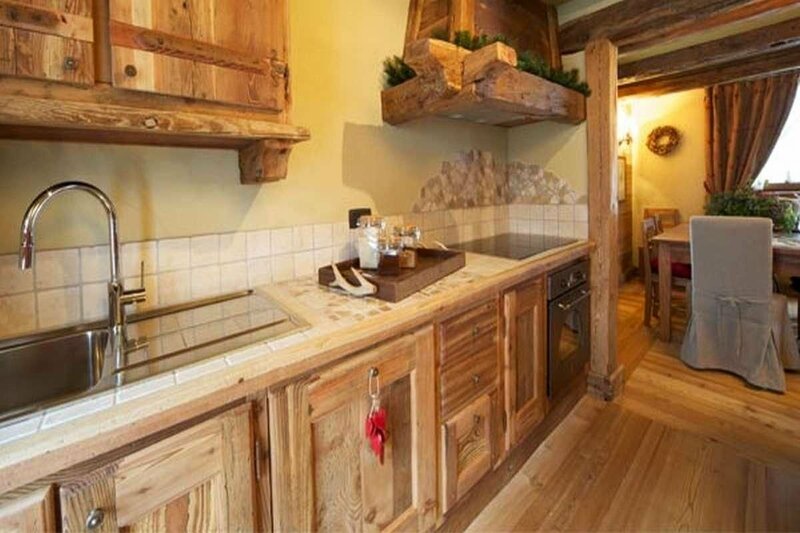 On the ground floor of the Courmayeur luxury chalet there is a kitchen, a bright open space with a fireplace and a bathroom with shower. 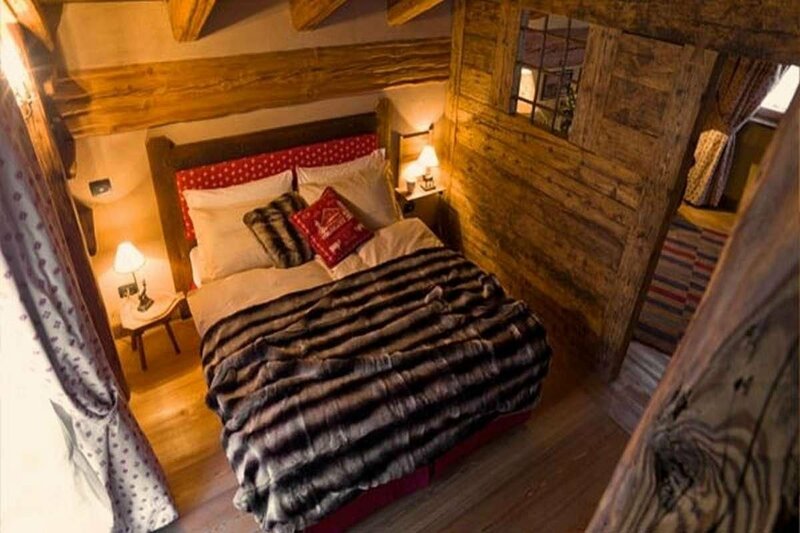 On the first floor of the Courmayeur luxury chalet there are two double bedrooms with balconies, a bathroom with a bath and a balcony room. 240 sqm on 3 floors. 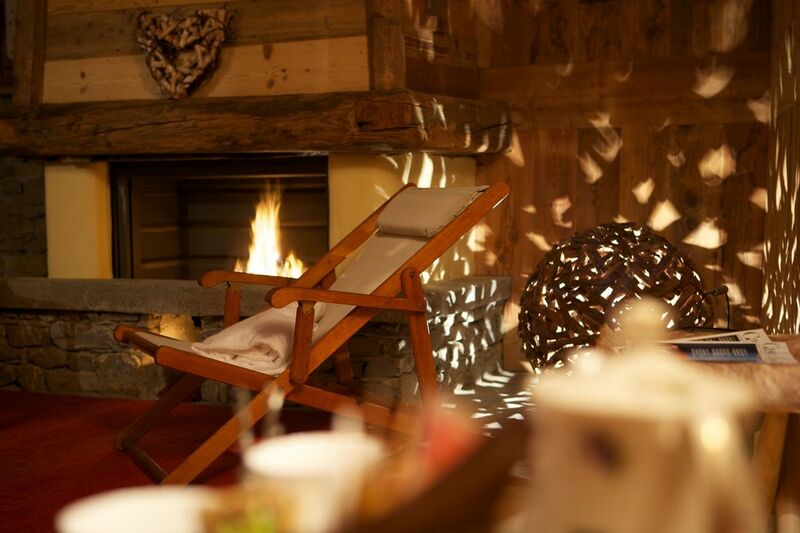 Courmayeur luxury chalet – Grand Chalet #3 has a large living room with fireplace and dining area, a fully equipped kitchen, TV area with wooden sofa, 3 bedrooms (one with en-suite with bath) and a bathroom with shower. 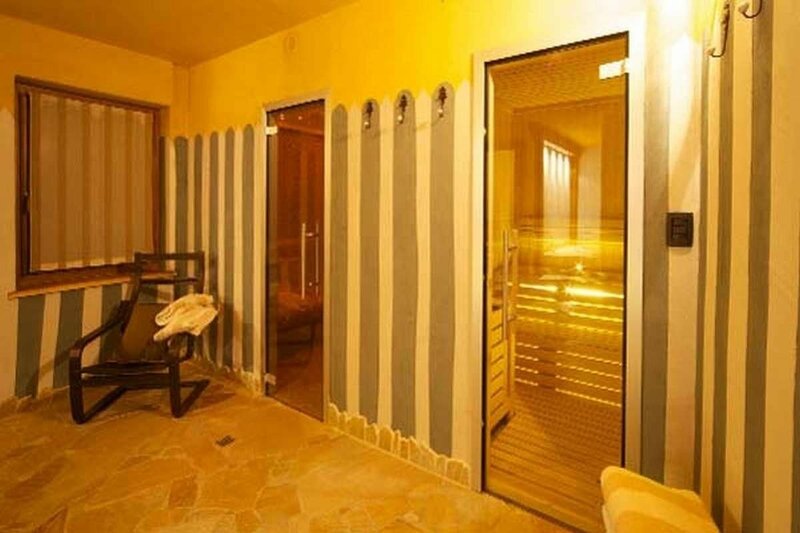 In the basement of the Courmayeur luxury chalet, there is a private sauna, turkish bath, maxi Jacuzzi, shower and gym. 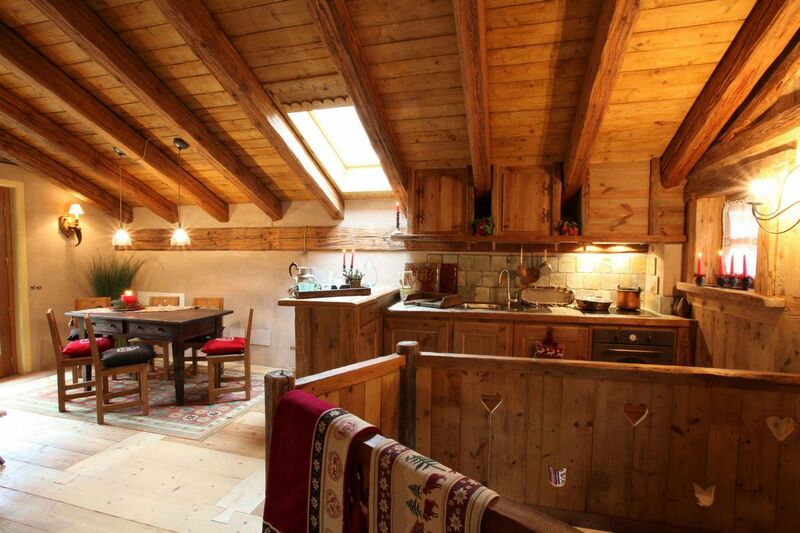 This Courmayeur luxury chalet is directly accessible from the garage and has a small private garden. 127 sqm on 2 floors. 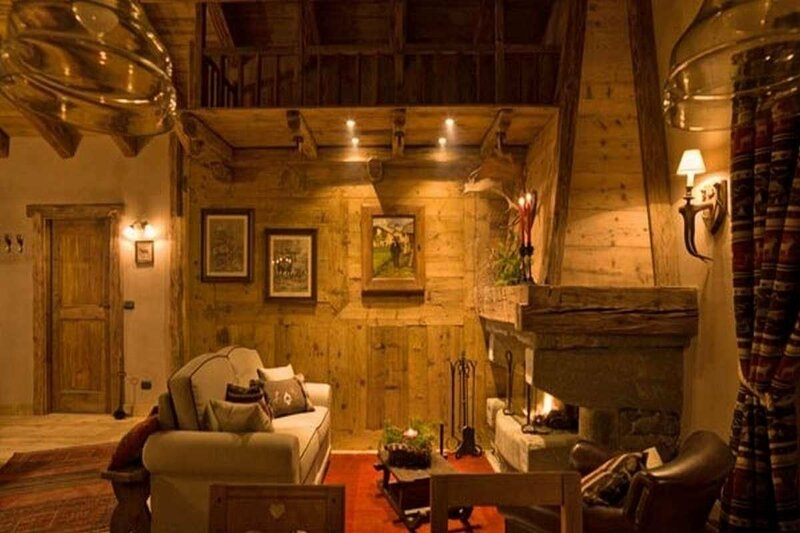 Courmayeur luxury chalet – Chalet De Luxe #1 has living room with fireplace and dining room, a fully equipped kitchen, two double bedrooms, two bathrooms with shower, a room with a sofa bed. 118 sqm on two floors. 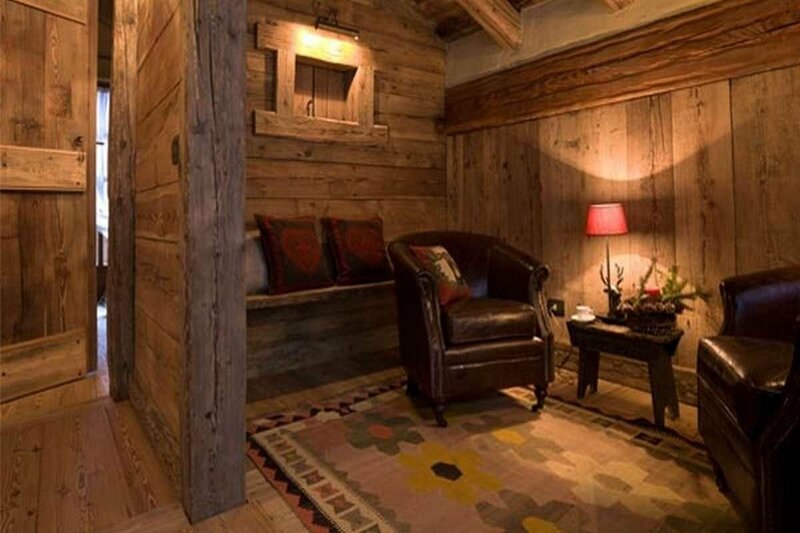 Courmayeur luxury chalet – Chalet De Luxe #2 has a living room with fireplace and dining area, a fully equipped kitchen, two double bedrooms, one bathroom with bathtub, a room with a sofa bed. 118 sqm on 2 floors. 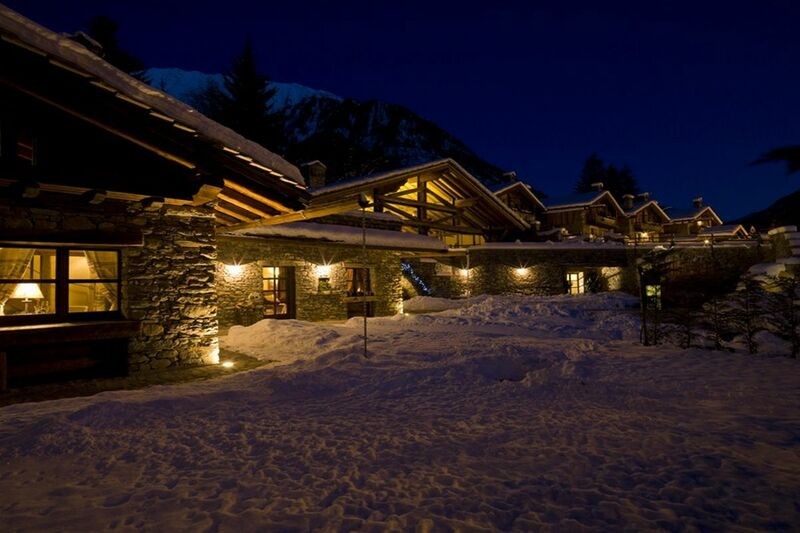 Courmayeur luxury chalet – Chalet De Luxe #3 offers a living room with fireplace and dining room, a fully equipped kitchen, two double bedrooms, two bathrooms (one with Jacuzzi and one with shower), basement room with sofa bed. 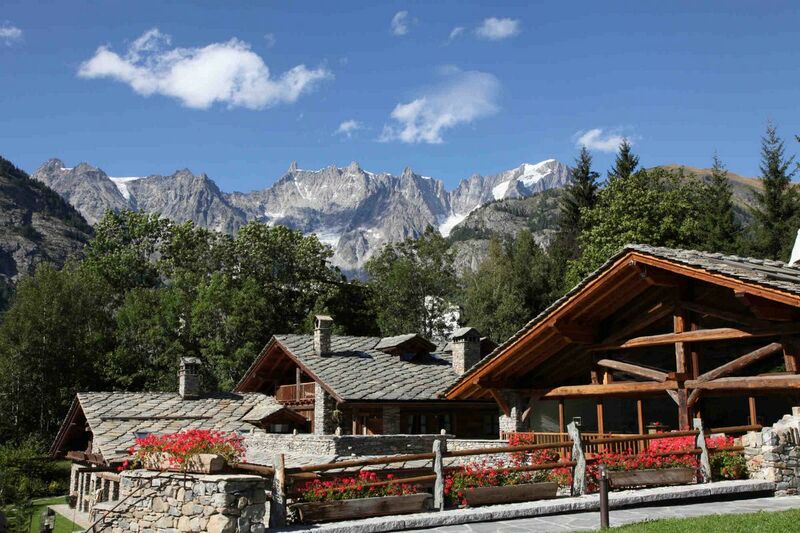 The Courmayeur’s luxury chalet is directly accessible from the garage and has a small private garden. from 82 sqm to 124 sqm on 2 floors. 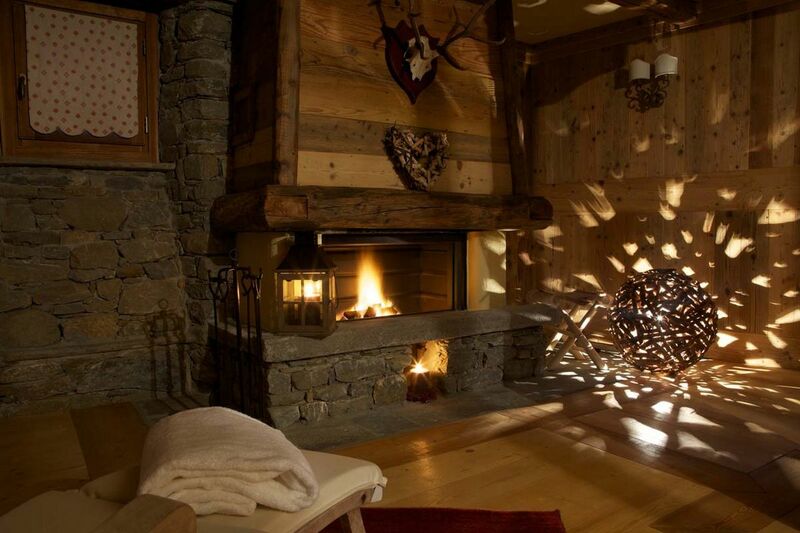 Courmayeur’s luxury chalet – Petit Chalet #1 has a nice living room with fireplace, kitchen, two double bedrooms, a bathroom with a bath and a shower room. from 82 sqm to 124 sqm on 2 floors. 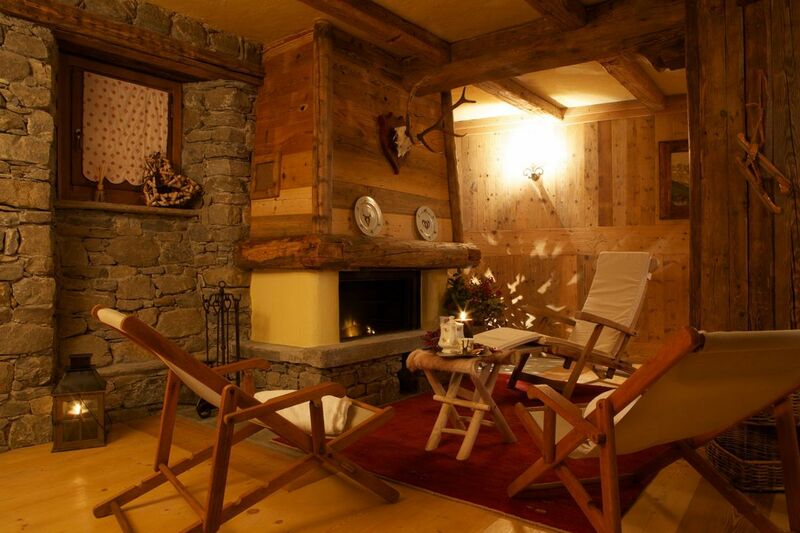 Courmayeur’s luxury chalet – Petit Chalet #2 has a nice living room with fireplace, kitchen, two double bedrooms, a bathroom with a bath and a shower room. from 82 sqm to 124 sqm on 2 floors. 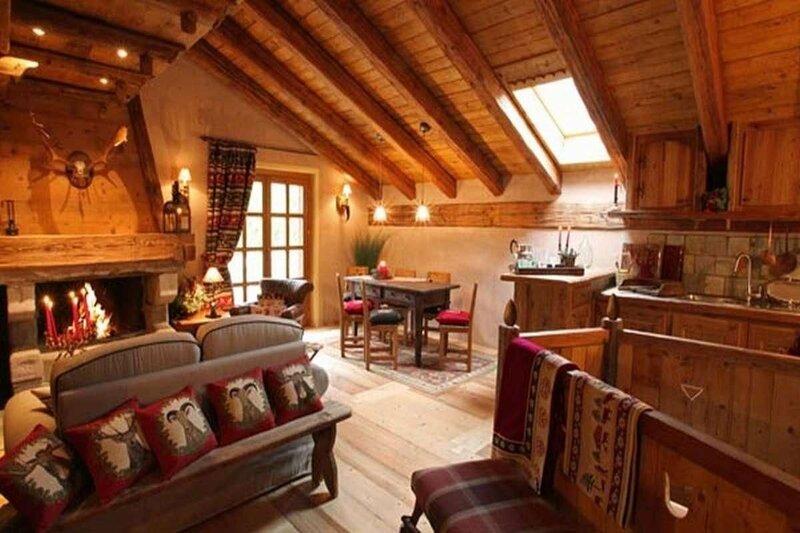 Courmayeur’s luxury chalet – Petit Chalet #3 has a nice living room with fireplace, kitchen, two double bedrooms, a bathroom with a bath and a shower room. from 82 sqm to 124 sqm on 2 floors. 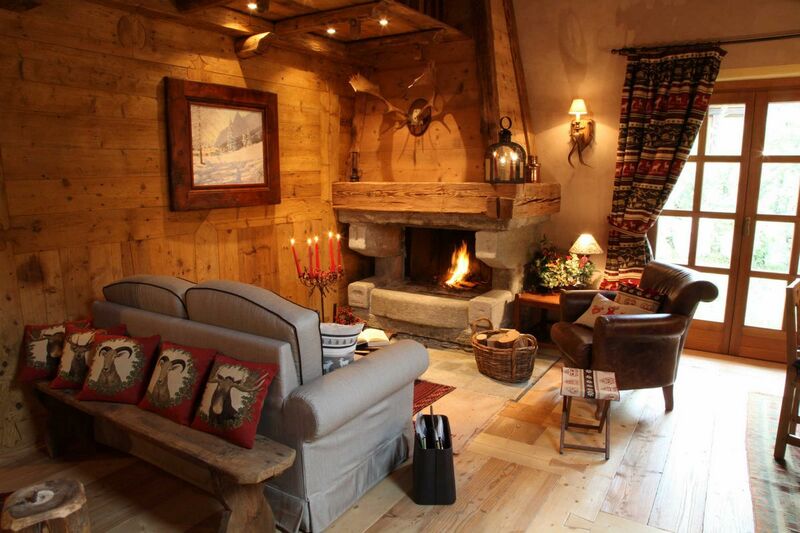 Courmayeur’s luxury chalet – Petit Chalet #4 has a nice living room with fireplace, kitchen, two double bedrooms, a bathroom with a bath and a shower room. 92 sqm. 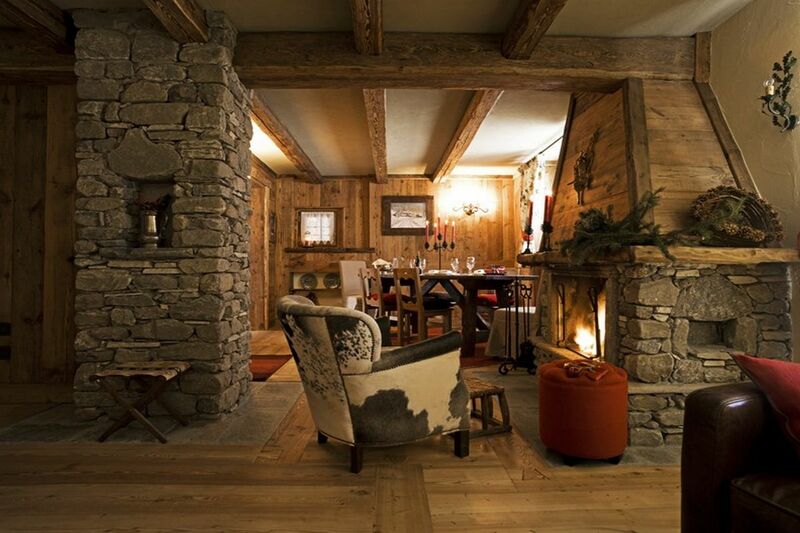 Courmayeur’s luxury chalet – Grand Foyer comprises an apartment featuring a living room with fireplace, kitchen, two double bedrooms, two bathrooms (one with Jacuzzi and one with shower). 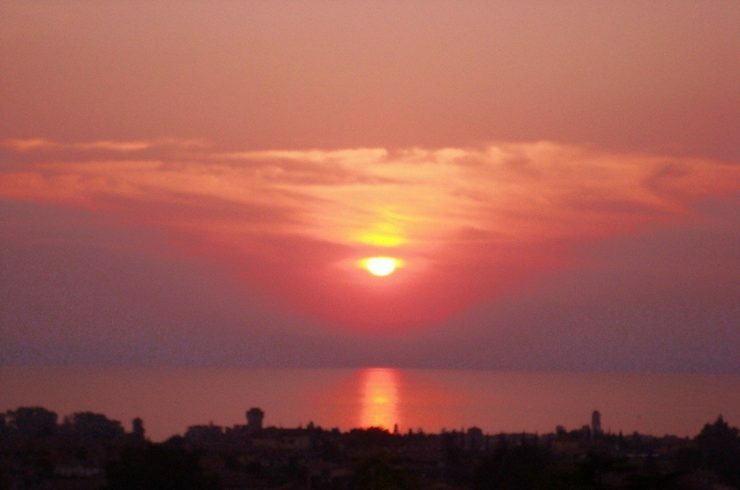 50 sqm. 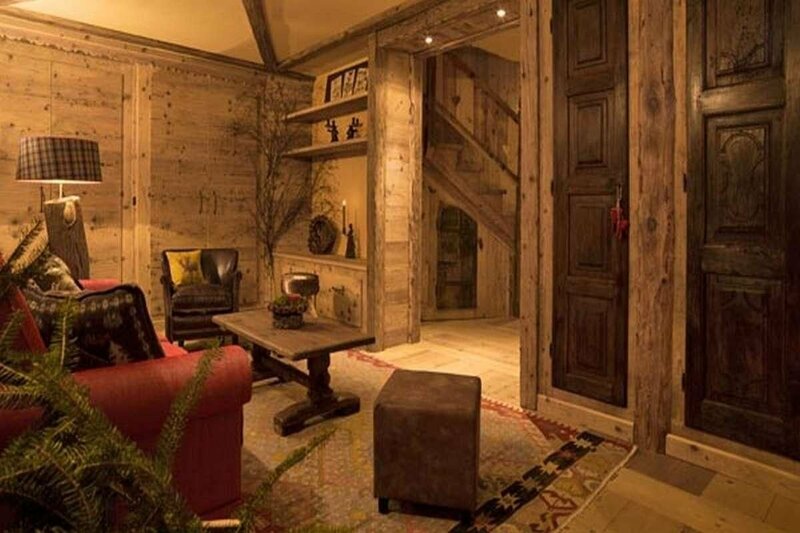 Courmayeur’s luxury chalet – Foyer comprises an apartment featuring a living room with fireplace, kitchen, 1 bedroom, 1 bathroom with shower. 53 sqm. 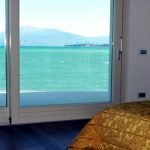 Courmayeur’s luxury chalet – Prestige Room comprises an apartment featuring a living room with fireplace, kitchen, 1 bedroom, 1 bathroom with shower. 20 sqm. 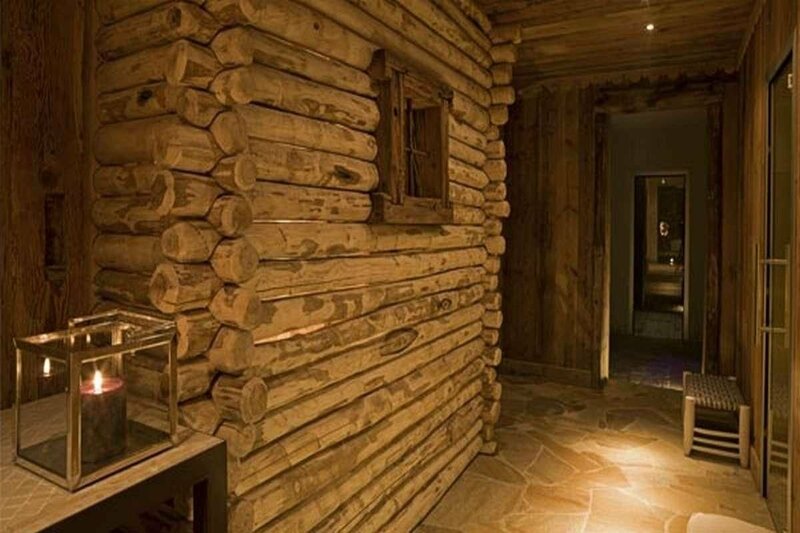 Courmayeur’s luxury chalet – Garni Room #1 comprises a bedroom and bathroom with shower. 20 sqm. 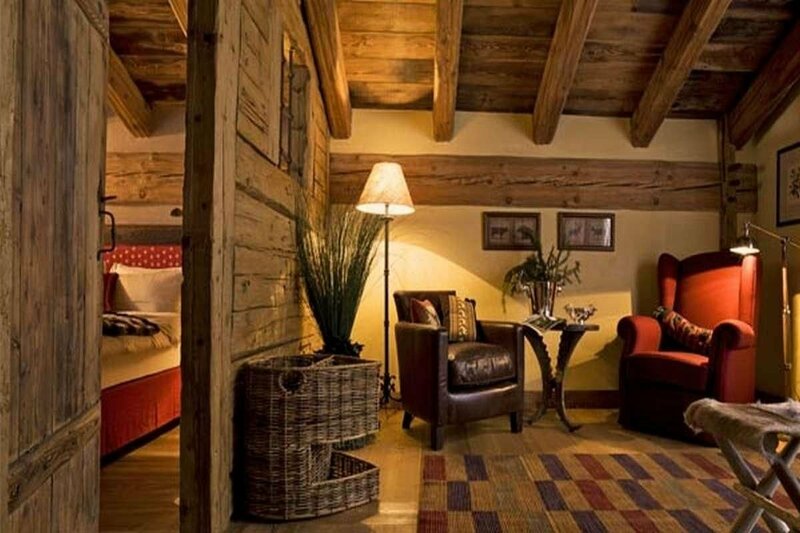 Courmayeur’s luxury chalet – Garni Room #2 comprises a bedroom and bathroom with shower. 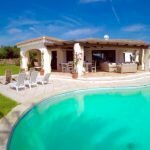 For checking availability or for booking, contact us! 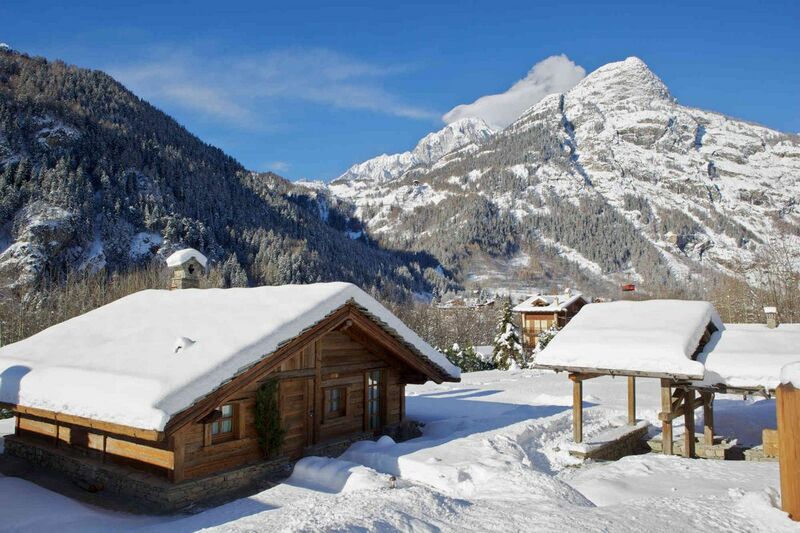 This Courmayeur’s luxury chalet for rent is an ideal location for skiing, just 300 meters from the ski lifts and the ski slopes Courmayeur Mont Blanc, including 100 km of slopes and 20 km of cross-country skiing in ‘enchanting Val Ferret. 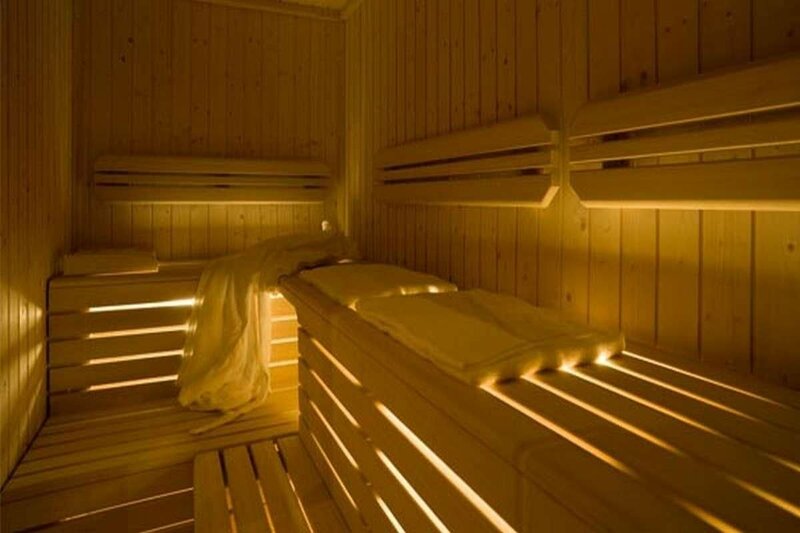 After a day on the slopes, enjoy a relaxing SPA & Wellness area of this Courmayeur’s luxury chalet for rent with panoramic indoor pool, sauna, turkish bath, emotional shower, massage and beauty treatments by appointment. 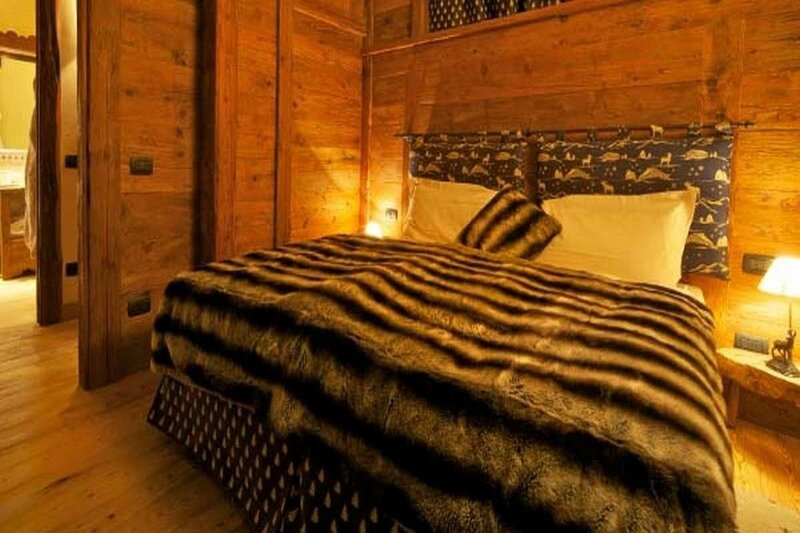 This Courmayeur’s luxury chalet for rent includes a heated storage room for skis, snowboards and boots to store in a convenient and secure all your ski equipment. 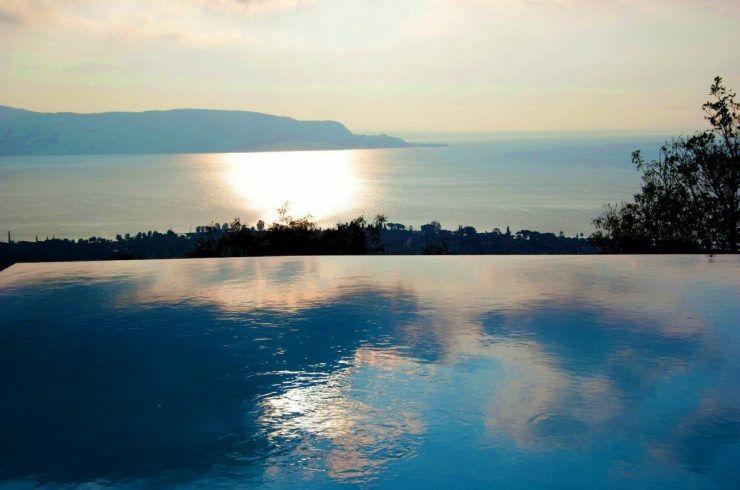 • Concergie to arrange tours and reservations. • Bar service with breakfast, snacks and après-ski aperitifs. 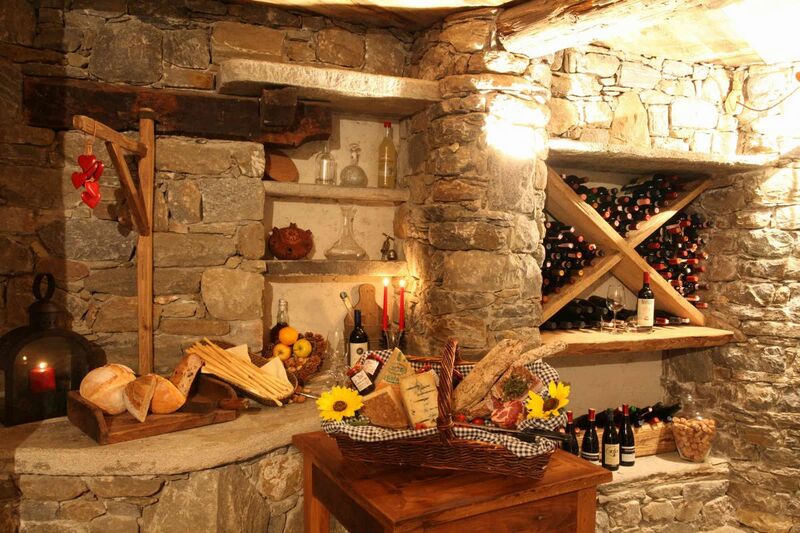 • Chef and private waiter to enjoy a gourmet dinner in your Courmayeur Chalet for Rent. 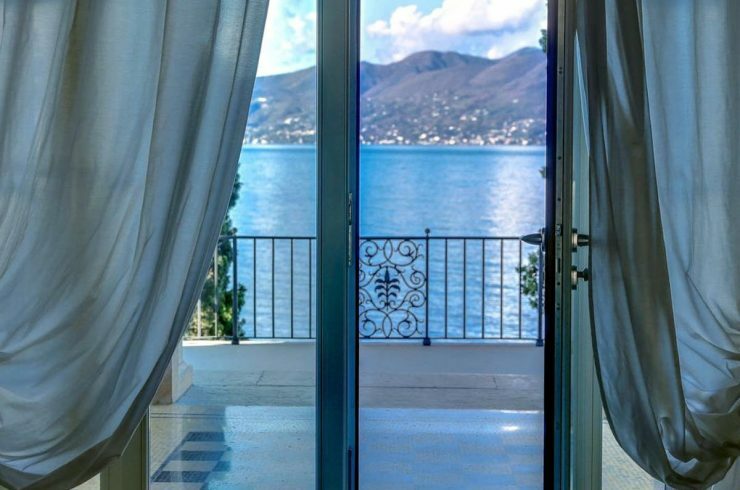 • Shopping delivery: when you arrive you find your home shopping in your chalet, if your book it online before arrival. 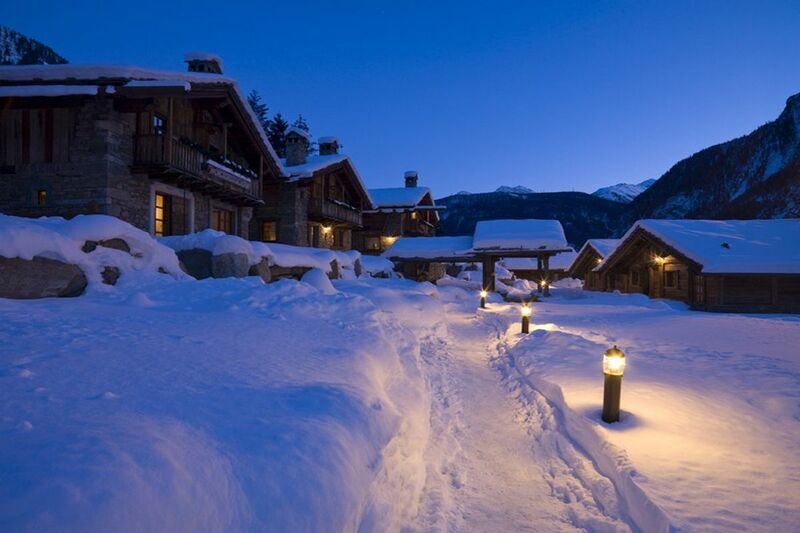 • “Home Restaurant” service to dine in your chalet one of the day proposals of the chef. • Catering service to get your breakfast basket and your favorite newspaper in your chalet. 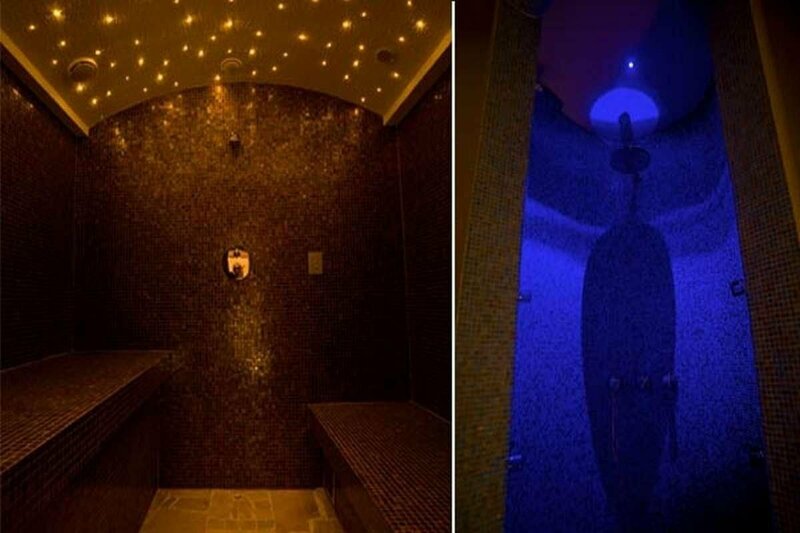 • SPA & Wellness with indoor pool, sauna, turkish bath, emotional shower, massages and treatments by appointment. Courmayeur is right at the foot of Mont Blanc, in a green valley surrounded by fir and larch trees, mountains and glaciers. Courmayeur, also called “sunny side” of Mount Blanc, offers a landscape and a ski resort where you will find all the happiness you deserve. 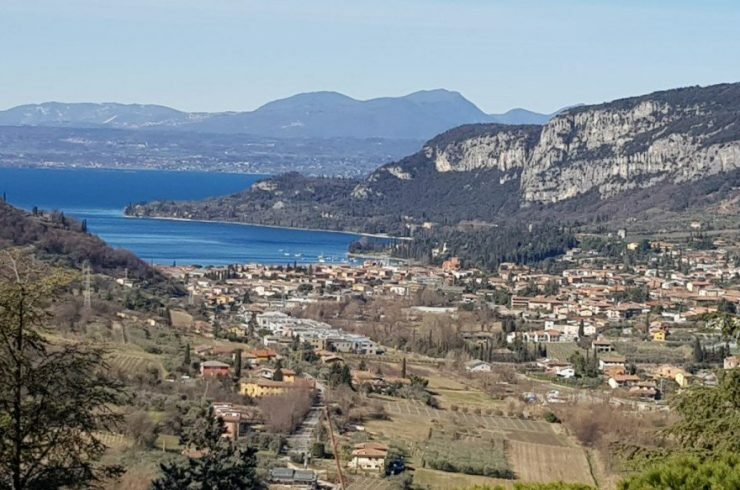 Over 100 kilometers to ski, in track and off the track, on the perfectly beaten slopes or descents still virgins after the last snowfall. 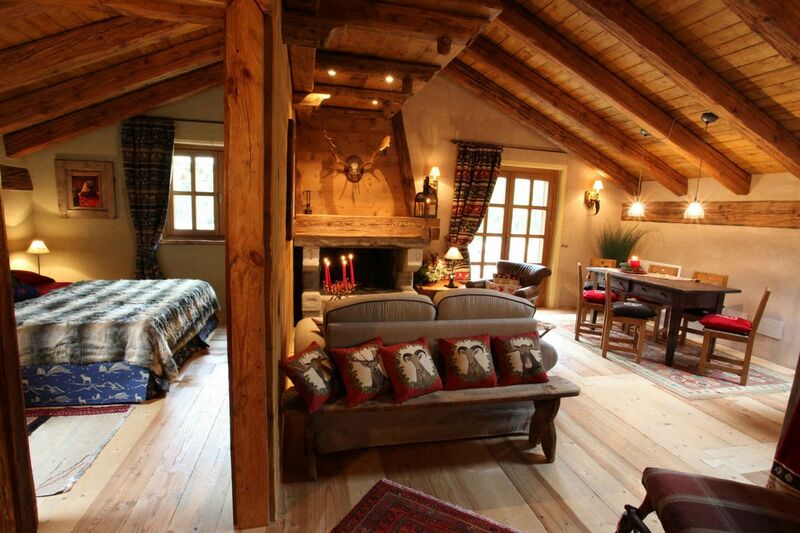 From your Courmayeur’s luxury chalet for rent you can go out already on skis or snowboard! 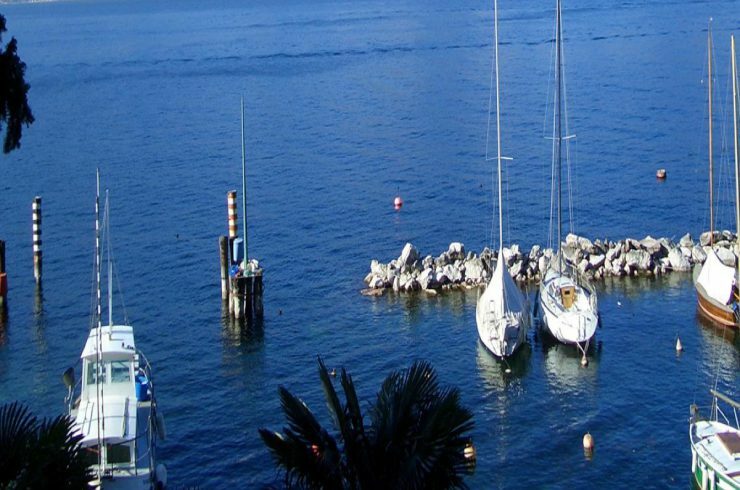 In Courmayeur the climate is mainly alpine, with short, cool summers, and cold winters with plenty of snow. 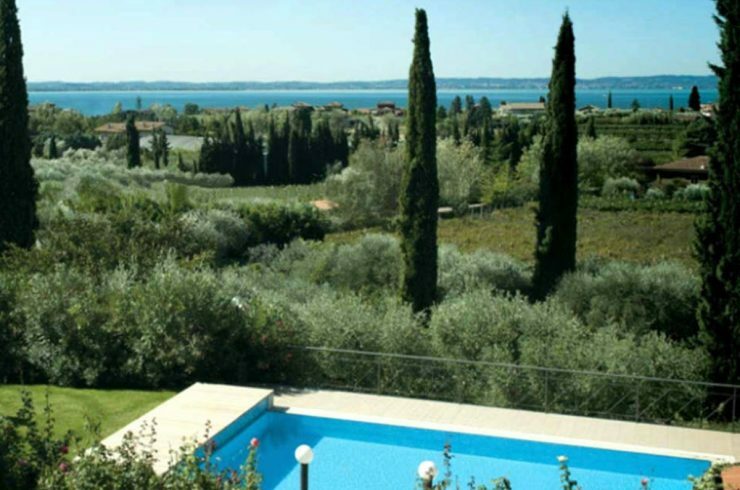 During the year, there is a significant rainfall which ensures plenty of snow in winter. However, being Courmayeur exposed to the sun, even in winter temperatures never fall too low and skiing is very pleasant. 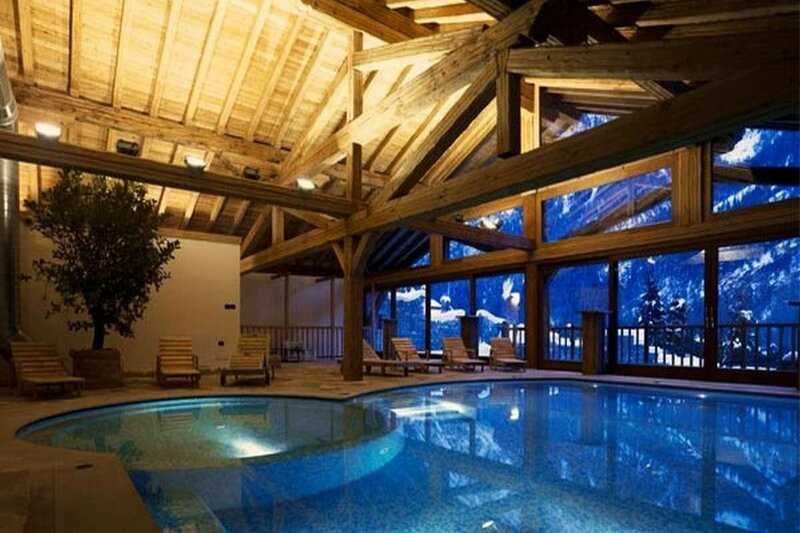 You can enjoy your Courmayeur’s luxury chalet for rent in any season! 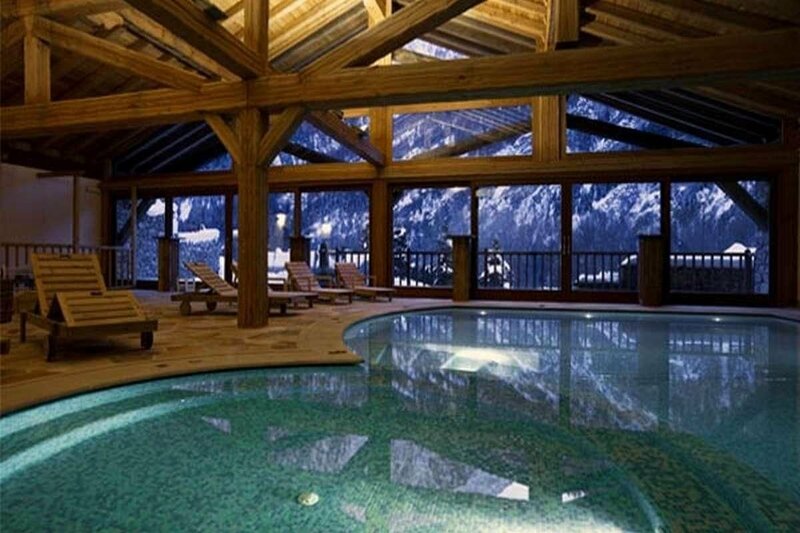 This Courmayeur’s luxury chalet for rent doesn’t meet your needs? Contact us and we will make for you a targeted search! 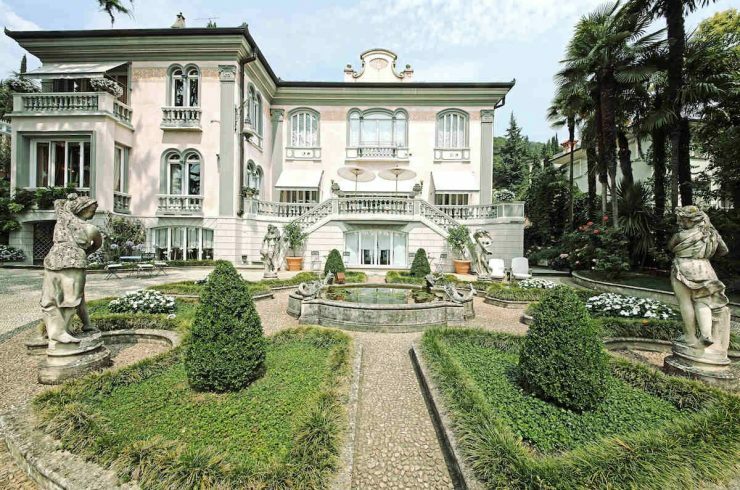 The real estate market of Courmayeur in recent years has increased dramatically. 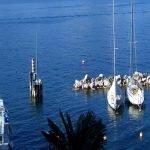 Courmayeur, famous for its snow slopes and extraordinary landscape, became the favorite vacation spot of very demanding international customers, that here look for luxury chalets and homes for sale and for rent. 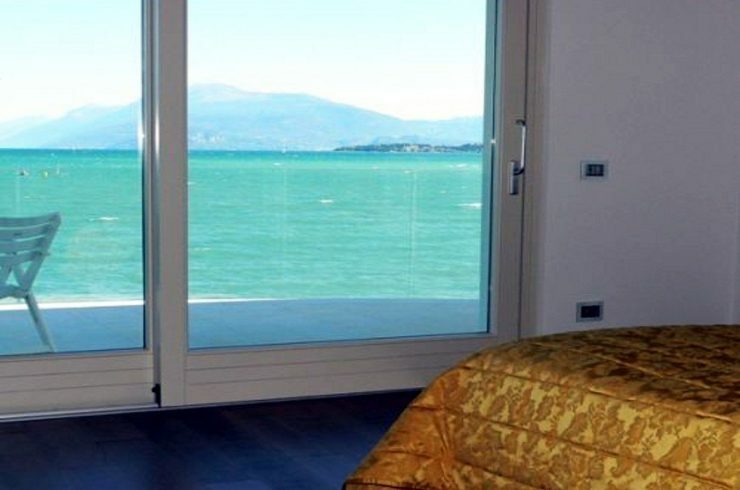 Further than renting this wonderful Courmayeur’s luxury chalet for rent, why don’t you consider also a real estate investment in Courmayeur and Italian Alps? Contact us for info.